With this tutorial you can make these three modern cakes. Silvia Favero will guide you with photographs and explanations so that you can create these incredible ruffles. 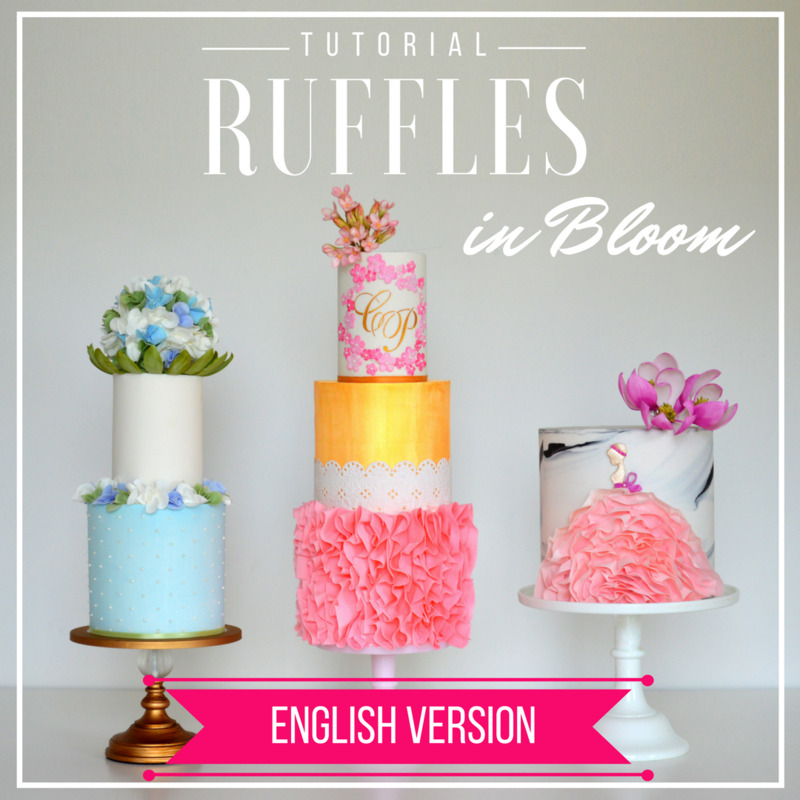 You can learn how to make her Pomander Floral Arrangement, her Chinese magnolias and painting technique, super easy filling flowers, lace without need of expensive molds and much more, so you can surprise with your next cake! Easy little flowers made without cutters, and buds. Includes: 3 PDF files with more than 200 photographs with explanations, a list of materials and lots of tips. With the purchase, you will receive an email to download the product.